☆ RGB cable, stereo audio. ☆ Cable length: approx.1.8 m. ☆ R eplace your broken / bad connection cable. Compatible with the original Microsoft Xbox console released in 2001, NOT compatible with Xbox 360 or Xbox One. 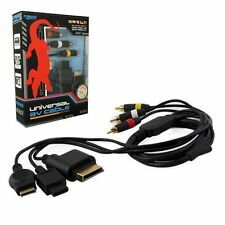 Use your AV cable for high-end visuals and sound on the For microsoft For xbox System. 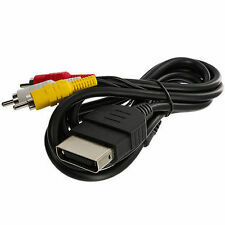 This Xbox original classic Component AV Cable has five connectors in end that you use with a standard-definition TV or monitor. 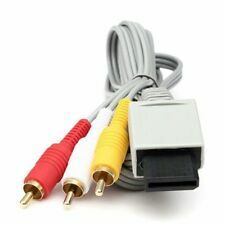 The other end of the cable has an audio-visual (AV) connector that you connect to the Xbox console. 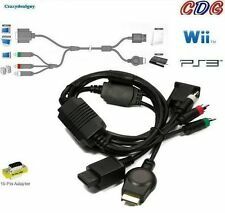 1 x HD Component AV Cable for XBOX. 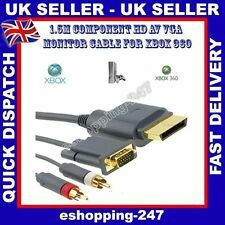 Stereo component high definition A/V audio video cables for the Original XBOX System. For the FIRST GENERATION XBOX ONLY! Will not work for the XBOX 360! SEGA DREAMCAST CONSOLES. x 1 AV TV Lead -. 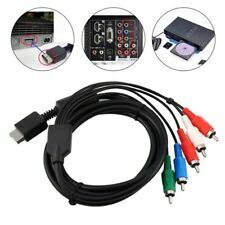 AV Nintendo N64,Gamecube & SNES Brightness issue solved PAL RCA Video Cable. AND FULLY TESTED 100%The screen shot's are picture'sN64 LYLATWARS with the brightness issue and then after modification showing NORMAL BRIGHTNESS. 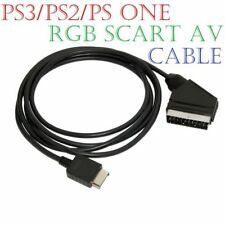 PAL Our consoles don't have the resistor in the machine,they have it in the cable/lead. SEGA MASTER SYSTEM ( Mark 1 Longer Console ). 3rd party product, not an official Sega item. 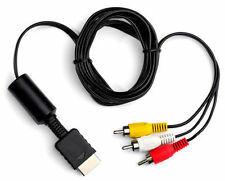 Composite 3RCA brings improved video graphics and audio and is compatible with most modern TVs. 1.8m flexible screened cable to minimise interference. This does not affect your statutory rights. Type: Audio/Video Cable. 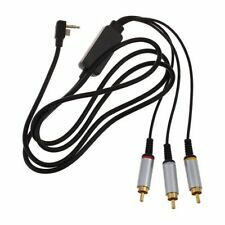 1 x Audio/Video Cable. Due to the difference between different monitors, the picture may not reflect the actual color of the item. 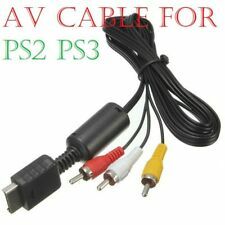 AV Cable for PSP GO.